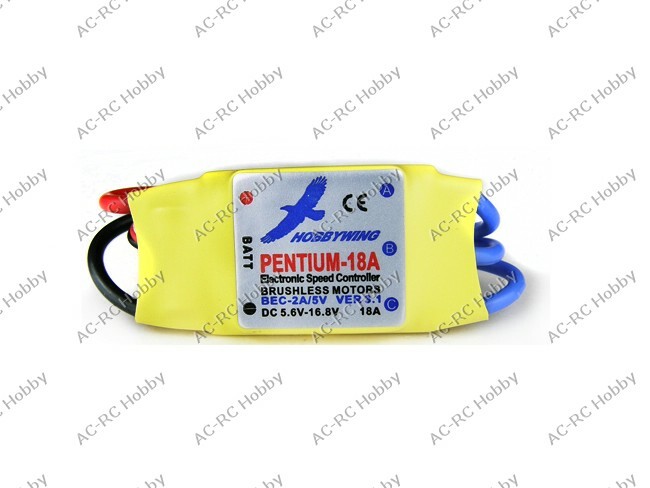 Pentium-18A is ESC product in "PENTIUM" series. - Output: Continues 18A, Burst 22A up to 10 Secs. - BEC 2A / 5V (Linear mode). - 45mm (L) * 24mm (W) * 11mm (H).